Recounting the greatest event of divine salvation in the Old Testament, the book of Exodus is not merely a story about the Lord God rescuing enslaved Israelites from the power of a despotic and xenophobic dictator. More importantly, it highlights how a compassionate and justice-seeking God transforms the lives of victimized people so that they may experience life in all its fullness in his holy presence. This transformation involves a unique process that includes redemption, ransoming, cleansing, and consecration. The story of Exodus illustrates an all-important paradigm for understanding the nature and goal of divine salvation, anticipating an even greater exodus that will come through Jesus Christ. 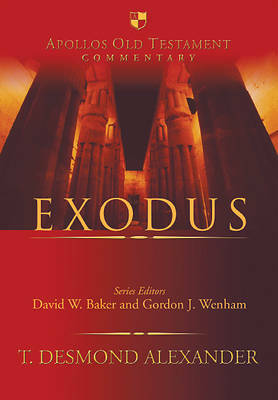 In this Apollos Old Testament Commentary volume, Desmond Alexander grapples with the many and varied complexities of the carefully constructed literary collage of Exodus. As an integral part of the longer narrative that runs from Genesis to 2 Kings, Exodus recounts a dramatic and unified story of how the Israelites come to a deep and close relationship with the Lord God. Narrating past events, Exodus speaks to contemporary society, revealing a God who passionately desires to draw people into an intimate and exclusive relationship with himself. This detailed commentary sheds fresh light on one of the most influential books ever written.